‘Windfall’ from director Laura Israel tells the story of Meredith, a community in upstate New York, and a proposal by a developer looking to supplement the town’s failing economy with 40 industrial wind turbines. At first attracted to the idea, the townspeople grow increasingly alarmed as they discover the impacts of what the proposed windmills could bring to their town, as well as the potential for financial scams. The director came upon the story as a resident of the community. Hearing about it in a small article in a local paper, as she investigated, she was taken aback by what was actually being proposed. 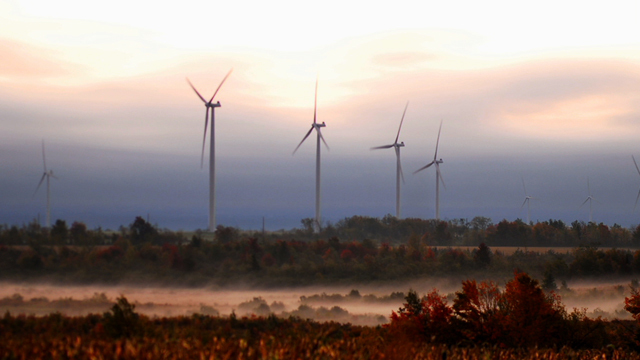 400-foot tall turbines, 1,000 feet from homes, clear-cut into mountains, and embedded in concrete to keep them standing. As she heard others reactions to these same facts, she set out to make the documentary, capturing the controversy, and the eventual divide of the community. The film screens at IFFBoston Saturday April 30th, at 3:45pm at the Brattle Theater.